Isn't it amazing how fast life goes? It's crazy to think most of our memories are marked in major events. Birthdays, celebrations and even tragedies. 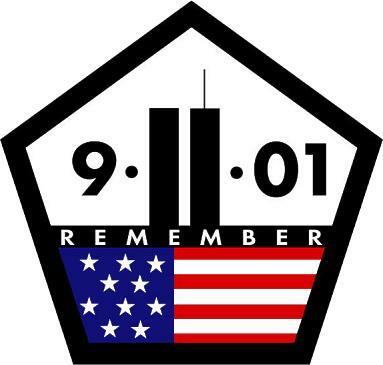 I remember every detail of September 11th, 2001 as I'm sure most people do. Flashback: We weren't allowed to watch TV before school and so I would always blast KISS FM (with Rick Dees in the morning (takes me back now). I took a shower in the mornings and when I got out I'd always catch the last 3 songs of the Top 20 countdown while I got ready. This day, there weren't any songs, just a bunch of news and I remember turning it off quickly in disappointment thinking I had missed it that day. I remember going downstairs and turning on the TV (which was not allowed and we never did) and I don't know why I did that day honestly. I just did it. I remember watching, nervous, as I didn't really know what the trade towers were, but I knew it was really bad. People's faces made audio not even relevant. My mom never let us miss a day of school, much to my chagrin and so off we went. She dropped us off that day because of everything happening and I remember getting out of the car, closing the door, turning to say goodbye and her yelling out the window that the towers had started to collapse. I hightailed it to my first class. Every classroom was silent with the TV's on. We sat, in silence, and just watched. Much more went on that day....but I will never forget. Later, I remember making some memorial slideshow with Faith Hill's song, "There will come a day" thinking it was a littler eery and all too convenient this had just released. I grabbed as many pictures as I could, I think in an effort to express how I was feeling. At that age, that's all I guess I knew how to do. I wonder if it's still on some computer harddrive my parents have....Anyways I hadn't met Steven yet or even had my senior prom. Fast forward 5 years. September 11, 2006. By this time, I was months away from being a college graduate, was newly engaged and planning a wedding furiously and heading into an new chapter in life. Good things were happening. Yet, I didn't forget. I will always remember September 11th because it has given me perspective on life, the goodness of people and the grace of God.